The Carnacon eight are free to play Sunday's Mayo championship clash after the Mayo Ladies County Board's appeal was rejected on Tuesday evening. The Mayo board were appealing of the leniency of the suspensions given to the eight Carnacon players, but that two-week ban has been upheld and comes to an end ahead of Sunday's encounter with Moy Davits. The original four-week ban for bringing the game into disrepute was eventually reduced to two weeks by the the LGFA National Appeals' Committee. 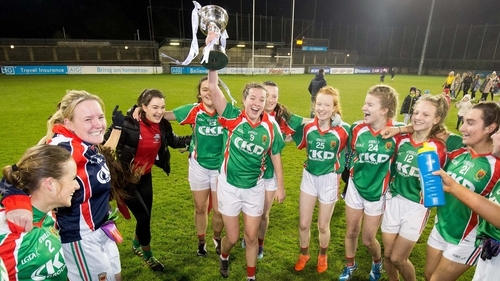 The reigning All-Ireland champions eased to a 15-point victory over Castlebar Mitchels in the Mayo championship on Friday, minus the services of the eight suspended players, including Cora Staunton and vice-captain Fiona McHale. They lost their second group game to Knockmore last night, again without the banned players, but still qualified for this weekend's semi-finals.